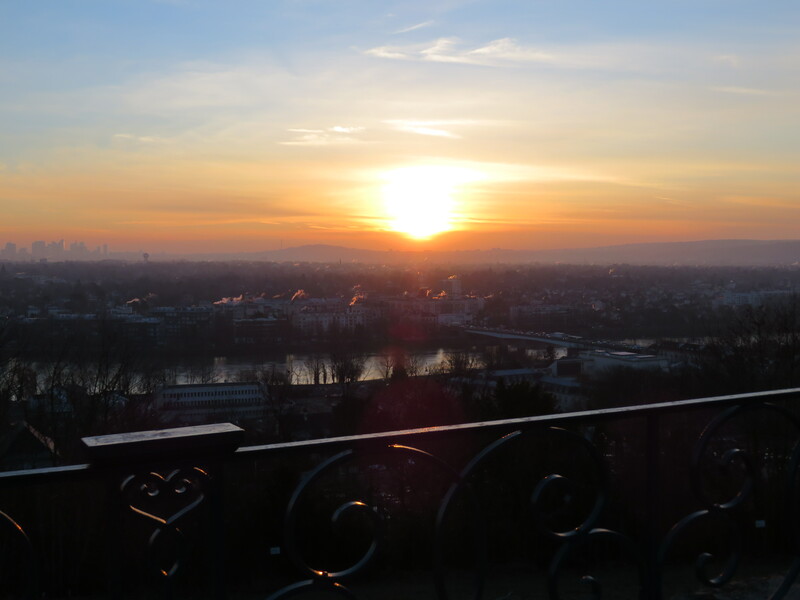 Being on the road this week attending conference in different parts of our mission, from Nancy, to Liege in Brussels, to Lille, in the north of france, gave me time to reflect on the things that I could work on this week. I mentioned last week how chartiy was something that we all needed to strive for, and a gift that Heavenly Father would be confer to us as we sought for it with our hearts. Bringing charity to a more applicable sense as a missionary was the key that I needed to find, especially in the area of finding people on the street. After all, Elder Christiansen and I were to do 3 back to back exchanges with the 3 teams of zone leaders whose zone conferences we were attending during the week. While exchanges are a time of miracles, they are a time of great opportunity for learning as well. Each morning, as I did my personal studies, I thought about how I would be able to best use my exchanges with the zone leaders that day to help me grow as a missionary, and the theme recurred – learn how to really talk to people that you meet, not to talk to them with the intention of teaching them the first lesson, but with the intention of helping them remember the experiences that they have had in their lives that will lead to recognise the Lord’s hands in their lives. After all, if we are all children of our Heavenly Father, wouldn’t Heavenly Father have given each and every one of us, whether we know he exists or not, spiritual experiences that we can personally use to help us remember who we are? So I studied this topic throughout the week and decided to apply this to each contact that I made, whether with the people that we had just met on the street, or with the people that we were teaching again that day. On one of the exchanges, in Liege, we felt prompted to stop a man who was getting ready to cross the road. As usual, the immediate reaction was for him to tell us that he was busy. But we asked him if he had ever had a experience that had helped him strengthen his motivation to be his best each day, and he stopped, pondered and said that he most definitely had. He saw our plaques and said that he knew that God existed, and that he was grateful for the blessing to be alive even though his life was not always the easiest. We ended talking to this man who originally said he was too busy for 40minutes on the street, sharing with him principles from the Plan of Salvation and how we are truly on this earth to be happy. His countenance changed and even though we were not able to fix a time that we would be able to share more with him, he said that he was grateful for our conversation. I know that we just need to spend some time recognizing our blessings, and helping others recognise the blessings in their lives, especially if they cannot yet see it. I am grateful to be able to help people find a way to be happier, and I know that God lives. He is always there. One of the greatest difficulties for me as a missionary is to leave the recent converts that I have been able to see to waters of baptism. While we as missioanries may do all that we can to get these recent converts well-integrated into the ward, and to have all the support that they will need so that they may continue to progress spiritually, leaving them in the hands of other missionaries or the ward can sometimes be a little uneasy. To put in a more common context, it is the same uneasiness that parents might feel when they drop their children in college for their very first day at school. Well, this week, I had the chance to see a few of the recent converts that I have grown to love dearly during my mission, and during both of these encounters, I was truly comforted by how far they had come after last seeing them. One of them, in particular, filled me with great joy. I met Prisen this week after one of the conferences that Elder Christiansen and I had given a training in. He walked into the dining room, eyes bright and excited, saying that he had heard from another missionary that I had come. I was thrilled to be able to see him, because it had been more than 7 months since I had last seen him. I remember how he had been the answer to the prayers of Elder Teh and I. We had spent 3 weeks contacting everyday without much success of finding someone who was truly ready for baptism, and in the final weeks, he walked into our lives and was baptized 2 weeks later. He was truly ready. Well, Prisen had been doing really really well – he received his patriarchal blessing and was preparing to receive the Melchizedek Priesthood in a month’s time. He told me that he was planning to serve a mission in August, and said that he was so grateful for the blessings that he had received ever since his baptism last year. Hearing him say that he was now preparing himself to go on a mission out of a personal desire to share the gospel brought warmth to my heart, because he had not only been converted, but was preparing himself to help other come to know the same blessings. I was reminded quickly of the wonderful blessing it is for me to be a missionary. We do not just come here to find people to baptize, we come here to help people on their road back to their Heavenly Father, to help them receive the same blessings that we had received in our lives through the restored gospel. I know that the work of the savior is great, and that this work is the greatest work not because of what we do, but how is changes us and helps us to become better. Merci pour votre amour et a la semaine prochaine! me on my mission and to have had the opportunity to meet such great people. I have never met so many young people who have just had pure goodness in their heart – nothing but a pure desire to be better and to help others. I am so grateful to be a missionary. Because I do not have much time this week to write, this letter will be a little more brief this week. On the board that hangs in front of my desk, there is a picture of Jesus Christ and a boy, sitting on a bench, and having a conversation. The picture is titled, “Lost and Found” by Greg Olsen. Jesus Christ, with great concern, and in a loving manner, turns Himself fully to the young man, seeming to wait for him to open up and tell him where he is going and what he plans to do. We do not know where this young man is going, we do not know where he is coming from, but we do now that at this very instant, Jesus Christ is there. It is interesting to ponder on how, at one point in our life or another, we have found ourselves on either side of the bench – as a representative of Jesus Christ, just listening with great love and concern, hoping that a best friend, family member or companion would confide in you so that he would find the direction he needs; or as the young man, sitting with hesitation and wondering if Jesus Christ would give us the direction that we need. 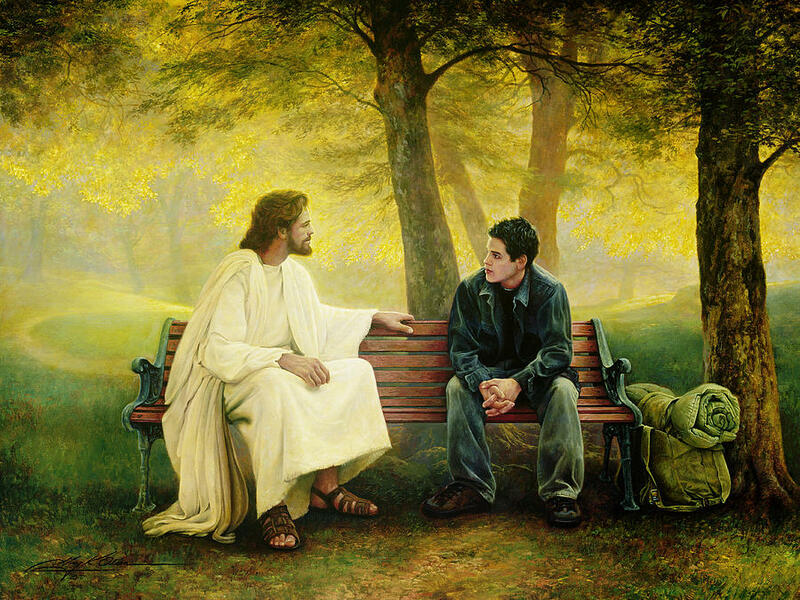 I know that on the mission, I have been able to sit on this bench several times a day, sometimes as Jesus Christ, and sometimes as the young man. There have been times when I have had to help the amis, or my companion find their direction. At other times, I have sought in great earnesty for an answer to my prayers, only to find that my companion or another missionary, member or leader, was there to counsel and give me advice. Whichever side I found myself in, the feeling has always been the same – one of great humility and love. It is through humility and love that we, the comforter or the one in search of comfort, are able to be edified together and are both uplifted and enlightened to carry on and to keep up the good fight. I know that our Savior Jesus Christ loves us. I know that He holds no regard as to where we have been, because through his sacrifice, we can start anew. start fresh and get back on track to the road that our loving Heavenly Father has carefully planned for us. There is nothing greater than seeing the gospel bless the lives of the people around me. And as my mission president hopes for all of the missionaries in this mission, I can confidently say that my mission has converted me, for the greatest conversion on a mission takes place, not in the people a missionary teaches. but in the missionary himself. I love you all, and look forward to seeing you soon. Transfer 13 just arrived at the doorstep. In the mission, this is the point where an Elder begins to be called an “old missionary” – all the sisters that came in with him leave since their missionary service is 18 months, 6 months shorter than that of the Elders. Less than 6 months to coming back and I still feel very much like a bleu missionary because there are many things that I have yet to perfect, and there are many things that I have still got to learn. Better make the most of every minute. Amidst the milliard of things that we had to do this week – from going on exchanges in Paris, to working on transfer decisions with President and Soeur Babin, planning the trainings for the upcoming mission council. the incoming missionaries and their trainers, to assessing the statistics of the mission, and working with the members to prepare one of the families we are working with for baptism – the importance of starting the day with scriptures has never been more important. There are 3 primary principles that result in true ongoing conversion – praying daily, reading the scriptures and attending church. One of my greatest pasttimes in the last few weeks has been reading talks given by general authorities, because in reading them, I have come to realise how applicable the words in the standard works of the church (the Bible, Book of Mormon, Pearl of Great Price and Doctrine and Covenants) are to my daily life not just as a missionary, but as a person. Immediately, a simple phrase that one of the parents of a fellow swimmer when I was in Singapore came to mind. Telling her daughter about the importance of remaining grounded while being successful, she said, “It is nice to be important, but it is more important to be nice.” What wise counsel. During the transfer decisions this past week, we talked about each of the missionaries in our mission in great depth – their strengths and weaknesses, their companions, their capacities as missionaries and where they needed to be for the next transfer. This process took 2 whole afternoons. There was much prayer and much consideration. Everyone needed to be placed in exactly the right ville, with the right companion. One of the decisions we had to make was choosing new zone leaders and sister training leaders. Looking at some of the missionary leaders we had had in the past and some of their perceptions of leadership, President Babin talked about how becoming a leader in the mission was just as President Monson had said, a responsibility to become more a disciple of Jesus Christ, to help others and serve others to a greater extent. A calling to leadership was never a calling to recognition, but a calling to responsibility and service. The greatest power a leader has does not come through being called, it comes through fulfilling that call. This week, I was reminded the importance of leadership, and what it means to be a great leader – to leave a positive impression that will help others be strengthened and find confidence in themselves to carry on. I am grateful for the calling to be one of the Lord’s missionaries today. And I am grateful for the life lessons that come from the scriptures and the Lord’s called leaders. This week’s message will be a little shorter. It is something that I have reflected on over the last few days. In our mission, we have set the stakes high and set goals for the mission to double the number of converts that we have in the area of this mission. President Babin was inspired to set this goal, and I know that it is something that the Lord has planned for his children here in France. Of course, this comes with no small effort on our part. The culture of the France Paris Mission, according to the missionaries and the mission president, can be succinctly summarized in three words, “Obedient,” “Hard-working” and “Miraculous.” Over the past few years, we have seen great progression in the level of commitment and faith of the missionaries and that is one of the reasons why I have no doubt that we can, as a mission, fulfill the Lord’s plan to double the number of converts in the year. However, with the missionaries already hitting the pavements contacting and knocking doors for hours daily, it would be impossible to simply increase the quantity of people that are contacted or the number of doors knocked. There is only so much that a missionary can do in the day, and to simply pile on more work would only create more stress. Thus, President Babin has insisted that the importance of “quality and not merely quantity” is enforced – doing the little things that would make the most difference. While the theme of quality and not quantity may apply to missionary work – teaching, talking to people, or working with members, I think that it applies also to the missionaries in a very personal way. Why did Heavenly Father send out young, inexperienced missionaries to the field to bring the most important message to the world? Why did He give such a huge responsibility to such incapable youngsters? “God is not the God of superheroes, nor of people without weaknesses. Such beings do not exist! God helps people like you and me, those who recognize their limits and the weakness of their condition and seek His help and guidance. Failing to recognize our limitations will block our progression. On the other hand, accepting them humbly lays the foundation for eternal progression.” – Bishop Gerard Causse of the Presiding Bishopric. I know that each missionary has been called to do this great work because of the very qualities and weaknesses they have. I know that I have been able to see the miracles on my mission through understanding this simple principle – that the Lord will strengthen the weak who are humble and meek. And I know that He will do the same for you because He loves you. I love being a missionary. I know the Book of Mormon is the word of God. A vous tous, passez une tres tres belle semaine qui est rempli avec les miracles! I went on another 3 exchanges with zone leaders this week. I guess one of the perks of being an Assistant is having the opportunity to travel around the mission to see the different areas where the missionaries work. One of the greatest blessings, I have seen, is the opportunity that I have to work with some of the greatest missionaries in the mission, and learn from them. If there is anything that I would take away from this week, it is that there Heavenly Father has indeed called us to be in the mission for who we are – with all our weaknesses and incapacities. 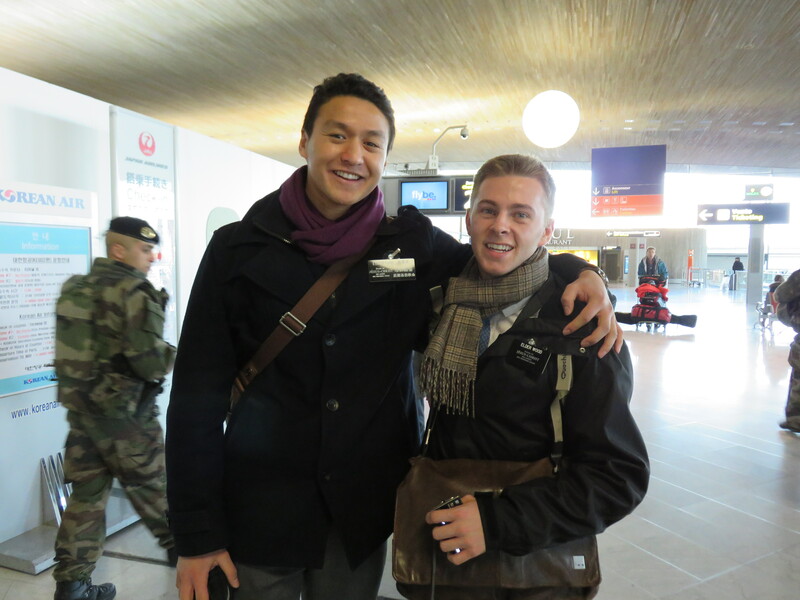 With all the Zone leaders I was with, there were no two missionaries who were the same. Even though the principles that they taught were the same, and their approaches were similar, everyone had their own style of working. On the other hand, the one thing that remained the same between them was the desire and sincerity that burned within them. The spirit that they brought with them to every single person they talked to or taught was strong, and I knew that they were not here on a mission to merely finish 2 years of “doing missionary things,” they were here on a mission because they knew in the depths of their hearts, the importance of the gospel of Jesus Christ, and the positive immediate and lasting changes it could have on other’s lives. They knew their missionary purpose, “To invite others to come unto Christ…” and because it was a part of them, the Spirit testified of the truthfulness of the things they said. I have reflected a lot on that this week – what truly is my missionary purpose. I have come to know what I need to do, I have the light bulb, but what else do I need to do to make the light bulb shine? And the answer is simple – putting our heart into it – a principle that applies to any facet of life or work. As we put our heart into the activities that we are engaged in, we desire to improve, to learn and to be better. We are conscious of every decision that we are making. We are actively involved. I believe this is the difference between merely being good, and being great. And as we ask Heavenly Father to help us in the tasks we have to accomplish, while actively engaging ourselves in it, we become more aware of our thoughts, of the divine inspiration and encouragement that comes to us. He becomes a part of our team. I know this to be true. So, will we be active agents for change in ourselves? Will we help our Heavenly Father help us make us our best selves? For my miracle of the week, if I had to choose one of the many that I had the opportunity to be a part of this week, it would have to be a Mdm Lai, a chinese lady that Elder Christiansen and I encountered 5 weeks ago on our way to the office from our home. Mdm Lai crossed our paths twice in the last week. We had given her number to the elders in Paris because she lived closer to the Paris St. Merri ward, but because of her busy schedule working here in Le Vesinet, she had never had the time to meet them. She came up to me this Tuesday as my companion for the day, Elder Sumsion, and I were talking to someone else, and said, “We really need to meet!” So we fixed a meeting for that very evening. Because I am the only one in my companionship who speaks Chinese, we asked David Babin, President Babin’s son who had served a mandarin-speaking mission in Montreal, to accompany us. That evening, as we sat in a cafe near our home, we taught her the about our Heavenly Father and how the gospel blesses families. It was clear in her countenance that she really wanted to know if what we were saying was true. She knew that there was something out there, and she knew that there was more to this life than just working. It was incredible for me to see how people truly do search for added meaning to their lives, and how Heavenly Father places us in their paths so that they can know their loving Heavenly Father. That night, she accepted the invitation to be baptized. Miracles happen everyday, but whose miracle will we be today? I know the gospel of Jesus Christ was restored through Joseph Smith and that God continues to reveal His secrets (Amos 3:7), just as he did in olden times, to his chosen prophets in these latter-days, because He values and loves each and every one of us. Imagine sitting in a bus in the middle of a manifestation with people holding up signs “Je Suis Charlie.” That was me Wednesday night this past week. As I am sure most of you would have heard through the news, there were a few shootings in Paris this past week, after a controversial comic art piece was published that morning. I had left the Paris – St. Lazare for Caen a little after 12:30pm earlier that afternoon, for an exchange with the Zone Leaders there. As a missionary, we do not get the chance often to stay in touch with the news, or the latest sporting or Entertainment updates, simply because they do not usually affect the work that we do – sharing the gospel. However, after starting an exchange with Elder Dayley, the zone leader who I was on exchange with, the first ami that we went to visit immediately put us up to date. Over and over again, as we contacted people on the road, and during our lessons throughout the day, we found people were greatly affected by the event. That night, as I sat on the bus in the middle of the manifestation, asking Elder Dayley, “What is going on out there?” An older lady turned back to us, spoke in the best English that she could and informed us that the manifestation was indeed the result of the shootings that very day. We quickly switched to French so that she could articulate herself more clearly, and she started tearing, telling us how sad she was that one of her favorite economist writers had been killed. 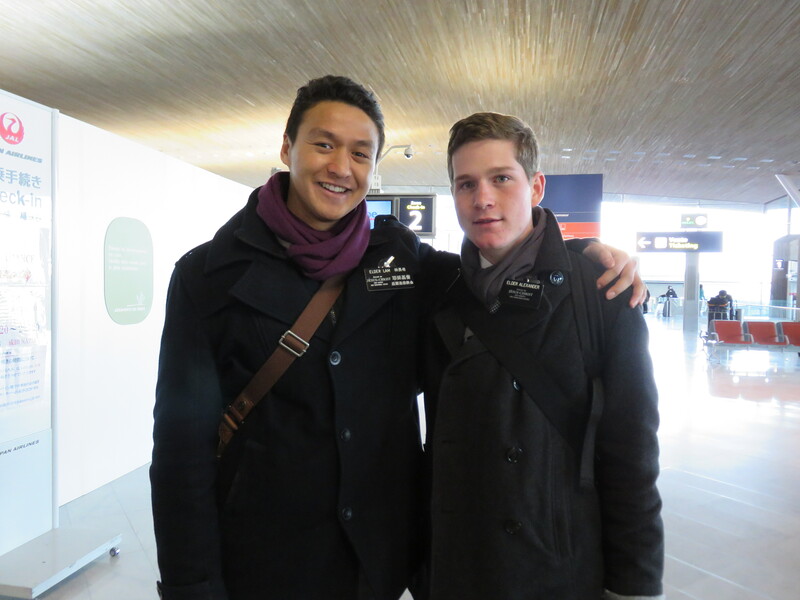 It was clear that there was great sorrow as her voice trembled, and the best thing that Elder Dayley and I could do was share with her why we chose to be here in France – to help people find happiness in their lives through the gospel of Jesus Christ. We had a short conversation that very bus ride about the things that she was most grateful for in her life, and that seemed to help ease up the tension. Reflecting on it now, I realise how effective gratitude can be in helping us be happy in difficult times. Sure, the pain or the hardship does not go away, but we do gain the confidence to overcome and surmount the challenges in our lives. Is it no wonder then that we always begin our prayers by thanking our Heavenly Father for the blessings that we have in our lives? My dad once told me that if we began by counting our blessings in our prayers, we would get to a point where we would forget want we even wanted to ask our Heavenly Father for. I am grateful that I can be grateful. So remember how much you have been blessed this week. Remember how much God truly does love you. If only you knew how much He loves you. I know He does because I feel great love and concern for people I have not even met, because the Lord helps me understand His children as one of His servants today. I know that the work I do is the greatest and most rewarding work in the world today. I know that I am truly called of God through His prophet to preach His gospel today.